While I was taking the ARMN Basic Training Course in Fall 2011, I started working at Sam Droege’s U.S. Geological Survey Bee Inventory and Monitory Lab as an intern. I was amazed to learn that there are 4,000 native bee species in the U.S.! Habropoda laboriosa, female. Blueberrry specialist. Maryland Kent County Spring 20012. . USGS BIML. One of the projects I’m working on involves processing native bee specimens from national parks for 1) setting population baselines, and 2) tracking climate change. Another project involves new stacking macrophotography of native bees. These incredible photos are available on FLICKR at http://www.flickr.com/photos/usgsbiml/ Currently, there are 200 photos, but as this is an ongoing project, check back often for new photos added weekly. 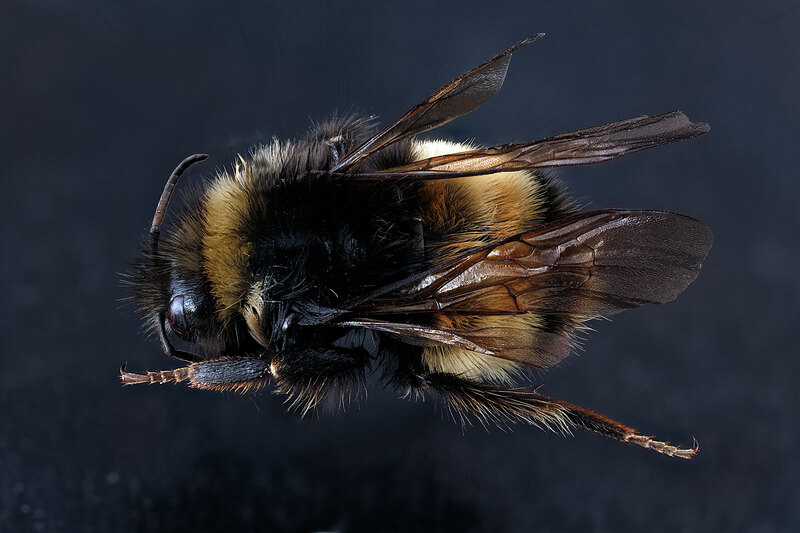 Bombus terricola, male, back. First Maryland record, July 2012. USCG BIML. 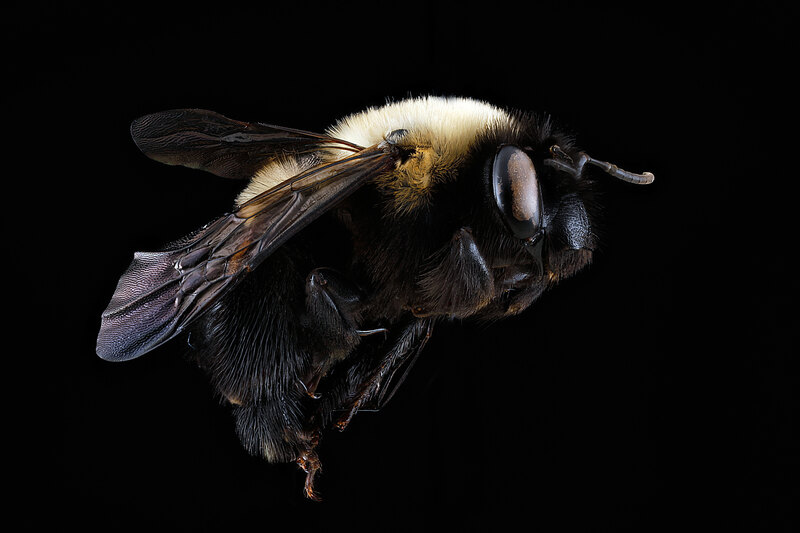 The USGS Bee Inventory and Monitoring Program designs and develops large and small scale surveys for native bees. As part of that project we also develop identification tools and keys for native bee species. One aspect of creating those tools is creating accurate and detailed pictures of native bees and the plants and insects they interact with. The USGS BIML website is designed to provide easy access to our photographs so that they may be freely used. 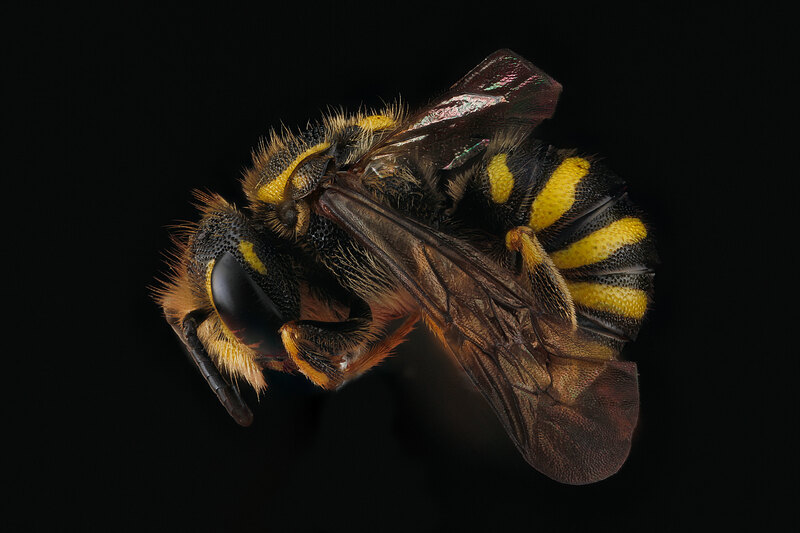 Paranthidium jugatorium, male. Allegany County, Maryland. First State record, July 2012. USCG BIML. Please contact Sam Droege for further information at sdroege@usgs.gov or 301-497-5840 or visit our website at www.pwrc.usgs.gov/nativebees/ . This entry was posted in Citizen Science and tagged pollinators by armneditor. Bookmark the permalink. Brooke, Good for you, and thank you for sharing this post. I have been using the Flickr site, and it is just amazing. As always, the world is a fascinating place when you really LOOK! I am trying to improve my bee skills. Sam is so knowledgeable and has such a great sense of humor. You must be enjoying your work!